The epic tale of the vampire Larten Crepsley continues. The question is – how far can Larten go… alone? 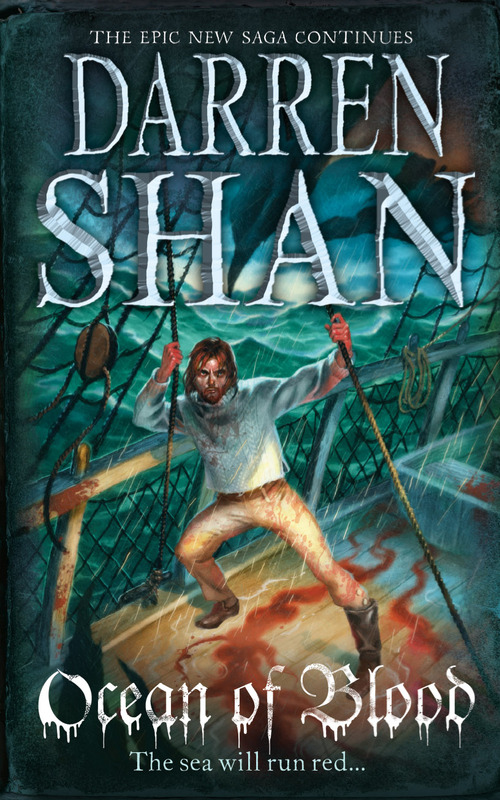 The publication of a new Darren Shan book is always something of an event at the school where I teach - in the weeks running up to release date we have a constant stream of boys coming in to the library to ask if we have it yet. There are only a very small number of authors whose books have this effect on our boys, which goes to show how important Darren's books have become in encouraging boys to read. Anthony Horowitz brought the action genre to life with his Alex Rider books, and in the same way Mr Shan has done this for horror. 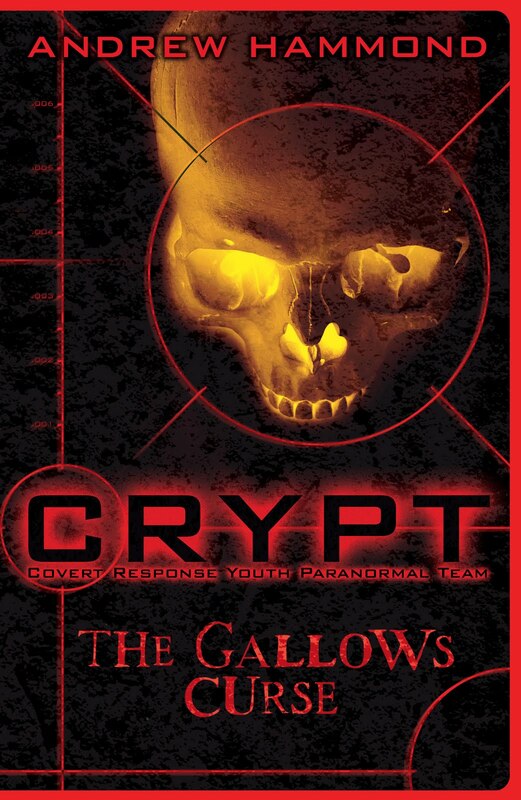 We often read about new YA horror authors being heralded as the new Darren Shan, but many people probably don't know that Darren received many rejections when he first took his original Saga to publishers - horror for kids didn't exist outside R.L. Sine and the output of Point Horror, and publishers were very nervous about books like this. With some of the titles on the market these days it is hard to believe how things have changed in only ten years, with horror now being one of the most popular geners for younger readers, and especially boys. Being the kind, thoughtful teacher that I had great fun in making the boys at school aware that I had already received my copy of Ocean of Blood some time ago. I didn't even hold back from telling them just how good it was - possibly one of my favourite books from the Saga of Sarren Shan/Larten Crepsely world. It was worth it just to see the envy and frustration on their sad little faces (I am of course joking now). However, it is release date for Ocean of Blood today and I am sure a good number of them will be begging their parents to stop watching a certain wedding on the TV so that they can be taken into town to buy it. So what makes Oceans of Blood so good? Well for me it is all down to the period of Larten's life that it focuses on. In Birth of a Killer we are introduced to Larten as a young boy, and we discover how he first became a vampire (and more importantly for some, how he got his bright orange hair), but in Ocean of Blood we reach his tempestuous 'teenage' years. These are the years that are amongst the most important in the development of what will be a person's adult personality; personality traits that can be dramatically altered by even the slightest intervention of an influential person or by what to others might seem like a minor event and yet they become the traits that a person will carry with them for the rest of their life. Of course, Larten isn't actually a teenager in this book: when we left him in Birth of a Killer he was at least in his forties, and Ocean of Blood starts off several years on from this, and goes on to span a further handful of decades. It's not often that a kid's books will tell the tale of an adult, and yet when reading this you rarely get the impression that you are reading about a grown man. Darren has written this book as if Larten is a stroppy, indecisive, hormonal teenager, which in vampire terms he is, and it works so well. Larten really does not know which direction he wants his life to take, and so he flits around trying to find the person or event that will help him make a decision. 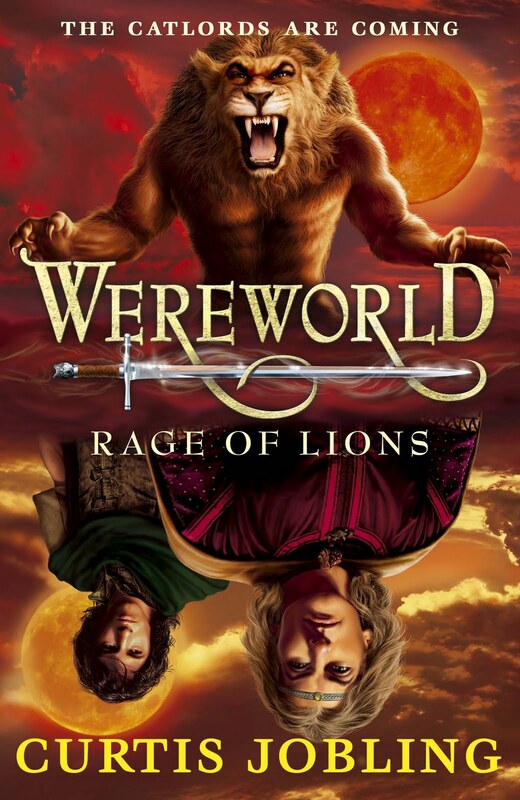 The opening of the books sees him running with the Cubs, a group of 'young' vampires who like to drink, gamble, fight and generally lark around. Life is all about having fun, and sounds pretty much like any gang of disaffected young people living in small town Britain, or students in a university town. Well it would if the favourite past-time of these vampires wasn't being part of a war pack, where they treat human wars as a spectator sport, visiting battles mid-action, watching the carnage and then feasting on the gallons of blood that soak these battlefields at the close of a day's fighting. However, saying that, it is amazing how many kids in schools around the world will quickly gather around and watch a fight in the playground at break time. Soon, however, Larten gets itchy feet again and he and Wester returned to their master, Seba, and spen some time travelling the wilds of America with him, watching the battles of the American Civil War from a distance, rather than participate in the war pack activities that they had previously found so enjoyable. During this time they also hook up with the foul-smelling vampire General Vancha March, before finding themselves at the door of Lady Evanna, the powerful witch who is of great importance to vampires, and a person who will have a significant impact on Larten as he continues to mature as a vampire. It isn't long before Larten, Wester and Seba return to Vampire Mountain, and it is this period in the story where we begin to see Larten at his most indecisive - he really does not know what he wants from life: should he focus on his training to eventually become a General, or should he spend more time travelling the vast world outside Vampire Mountain and make the most of this before taking on any kind of responsibility. These are decisions that many teenager and young adult has to make at some point, and in my years as a teacher I have seen many students go through this agonising process. However, I am not going to tell you which direction Larten chooses as I want you to find out for yourself, all I will say is that the choice he makes leads to moments of great sorrow, and also some scenes of great horror (it ain't called Ocean of Blood for nothing) which are amongst the best that Darren Shan has written. Fans of Darren Shan will certainly not be disappointed with this book - I didn't want it to end as I desperately wanted to continue to observe Larten's personality slowly developing as he begins to become the complex character we first met in Cirque Du freak. The ending of Ocean of Blood will certainly have you gasping for breath and begging for your next fix of The Saga of Larten Crepsely, and fortunately we only have to wait until October for book three in the series, titled Palace of the Damned. My thanks go to HarperCollins for sending me a copy to review. 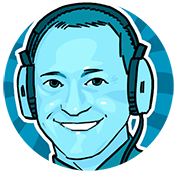 edit: It seems there have been a few technical problems with this feature and so it has been taken offline for a couple of days. 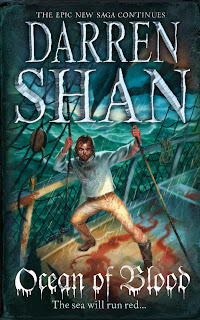 To celebrate the release of the second book in the Saga of Larten Crepsley series, Ocean of Blood, HarperCollins Children's Books have teamed up with Firebelly, a creative agency specialising in the entertainment industry, to help teen horror author Darren Shan collect 1 MILLION virtual drops of blood from his dedicated followers. Simply donate a drop of blood to the virtual ocean with a click of your mouse and be in with a chance to win one of 1,000 prizes instantly. These vary from free wallpapers, to signed books, iTunes vouchers and iPod Nanos. If users are unsuccessful first time round, they have the chance to donate as many drops as they like in order to win an instant prize, so keep bleeding to win! Once the 1 MILLION drops have been donated and the ocean is full, one user will win the top prize of an iPad 2 with all of Darren’s teen books pre-loaded and a personalised Saga of Larten Crespley book cover framed and signed by Darren. What are you waiting for? It won’t hurt...much! Visit www.facebook.com/darrenshanofficial. Please give generously. I really enjoyed Curtis Jobling's Rise of the Wolf, the first book in his Wereworld saga, when I read it back at the tale end of last year. It has since been a big hit in the school library, partly through my enthusiasm for it but also as a result of its eye-catching cover - with artwork by Andrew Farley and design by Patrick Knowles. The good news for Wereworld fans is that the sequel, Rage of Lions, is due out on the 7th July, and the cover art has recently appeared on Amazon. Thanks to Mr Jobling I have a higher resolution image of the cover to display for readers of The Book Zone. I am sure you will agree with me when I say that I think Andrew and Patrick have done a great job again, and it complements the cover of Rise of the Wolf brilliantly. A great contest here for fans of Anthony Horowitz's fab Alex Rider books - thanks to the generous people at Walker Books and Just So I have a Scorpia Rising poster signed by Anthony Horowitz to give away. Please believe me when I say that this will look great if framed on any boy's (or girl's) bedroom wall. In order to be in with a chance of winning this cool prize all you have to do is answer the question and fill in your details on the form below. The first name drawn at random after the closing date will win a copy of the book. Deadline for entries is 8pm GMT Saturday 30th April. This contest is open worldwide. Well done and thank you to all of you who entered. I will now endeavour to contact the winners through by email. Please reply within 48 hours or I will draw another name out of the hat. Many thanks to HarperCollins for providing the prizes. Boys love facts. And the more disgusting these facts are, the better. As I have mentioned on The Book Zone in the past, some of the most popular books in the school library are The Guiness Book of Records and Ripley's Believe It Or Not. Every break time there are groups of boys gathered around the various volumes of these that we have on the shelves, and sometimes we have to step in and encourage them to enjoy them in a slightly less rowdy manner, especially where Ripley's is concerned. Thus, when these four books arrived from the generous people at Random House I decided that before going through them myself I would put them to the test in the school library. We took the boys' favourites off the shelf for one break time and had these ready in their place, and then sat back to observe their reaction. Their reaction spoke volumes. After the initial disappointment at the absence of their glossy, large format favourites they were soon gathered around in their groups, taking it in turns to flick through whichever book they had in search of the grossest fact they could find. Cue raucous laughter and non-stop giggling for the next twenty minutes - Mitchell Symons's That's So Gross books passed the test with flying colours! If the name Mitchell Symons sounds familiar to you it is probably because he has won several awards for some of his previous fact-filled books, most notably the Best Book With Facts category of the Blue Peter Book Awards in both 2010 and 2011. The end of March saw the publication of his brand series, titled That's So Gross, consisting of four books aimed at the 7+ age range. The four books in the series each focus on a different theme: Human Body; Animals; Creepy Crawlies; and History, and they are all totally rammed full of facts that kids will find really cool and totally gross. And if I'm perfectly honest, I reckon a good number of adults will also have a lot of fun flicking though these - us Brits are world renowned for our fondness of toilet humour and these certainly deliver in that respect. Kate has escaped the clutches of the High Council and Silas has left Albion for the continent. But their lives are forever linked and as the veil weakens, causing Albion's skilled to fear for everyone's safety, Silas and Kate find themselves drawn together by the mysterious and corrupt Dalliah Grey. Jenna Burtenshaw's debut novel Wintercraft was my Book of the Month back in May 2010 and I have been waiting impatiently for more from Ms Burtenshaw ever since. 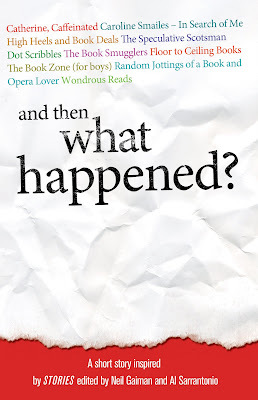 Whilst not finishing on a massive cliffhanger, the first book in the Wintercraft series did leave us with a number of unanswered questions concerning the immediate futures of two of its main characters - Kate Winter and Silas Dane. One year on from that book and we now have book two, Wintercraft: Blackwatch, and it was certainly worth the wait. The first book in the series was very much about introducing us to the brilliantly imagined world of Albion and the key players in the story, although at the time it didn't seem like a mere introduction as I found it to be a finely crafted "dark fantasy story that I just didn't want to end". It is a complete tale that could work as a standalone novel, written in an intelligent and beautifully flowing prose more often seen from much more experienced authors. Having now read the sequel however, Wintercraft now does seem like more of an introduction as in Blackwatch the author develops her world and two main characters so completely that by the end of this book I was so attached to them that I felt sick with nerves at the perils they found themselves facing. And then Ms Burtenshaw goes and leaves us with a massive cliffhanger at the end. Aaaaarrrgghh! The story of Blackwatch has two definite paths that start off worlds apart, linked only by the mysteries of the veil, but gradually converge as the adventures of Kate Winter and Silas Dane gradually gravitate towards each other. Kate is on the run from The Skilled, wanted for complicity in the murder of one of their leaders in the previous book. She is accompanied by her only friend, the ever-loyal Edgar, and his companionship is vital to her well-being as her powers begin to manifest themselves more greatly and the pull of the veil becomes ever stronger. Silas Dane is also on the run, hunted by the legions of the High Council, and an overheard conversation sees him fleeing across the sea to the Continent, and straight into the hands of the Blackwatch, a highly skilled commando unit that have for years been the continent's main covert strike force in their ongoing war against Albion. For Silas it is very much a case of out of the frying pan and into the fire, and with the power of the veil so far away maybe even he could be at risk from death this time. 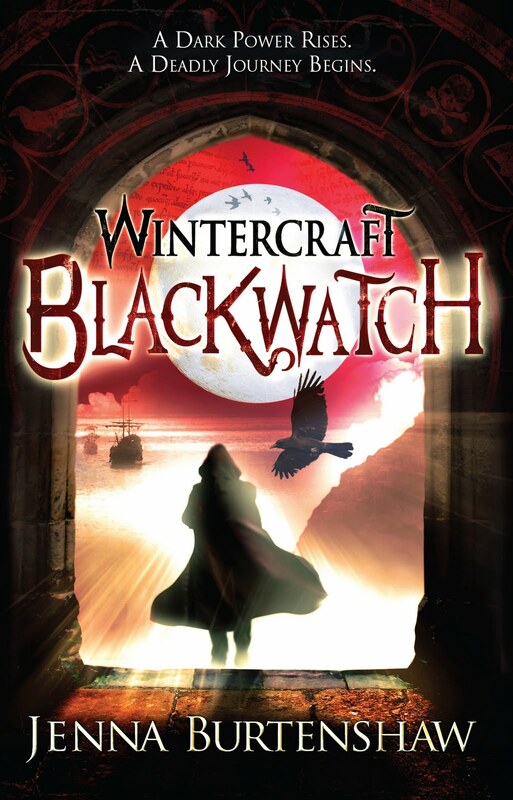 Wintercraft: Blackwatch is a thrilling continuation to the story, with tight plotting and a skilfully varied pace that allows the reader to catch their breath between the frantic chase scenes. Kate Winter is a very strong female protagonist and fantasy-loving boys should love this story, and unlike many of the YA fantasy stories published these days there is not even a hint of a romantic element to this book. If you haven't yet read the first book in the series then you really should, and then go and get your hands on Blackwatch. My thanks go to the generous people at Headline for sending me this copy to review. I have been singing the praises of Will Hill's Department 19 for some time (see my review here), and now, thanks to the generosity of the people at HarperCollins I have a signed copy to give away to a reader of The Book Zone. 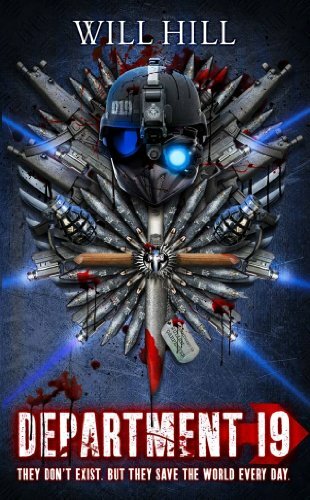 In addition I have a fantastic Department 19 poster for one runner-up. 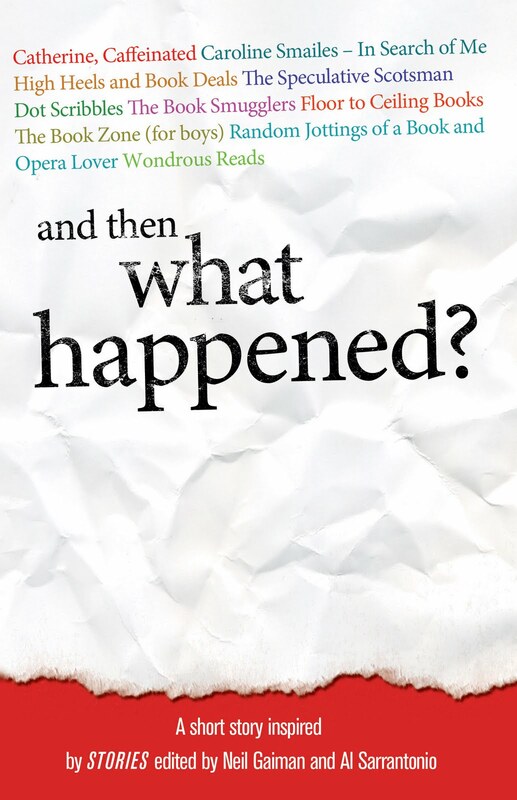 In order to be in with a chance of winning a copy of this book all you have to do is answer the question and fill in your details on the form below. The first name drawn at random after the closing date will win a copy of the book. Deadline for entries is 8pm GMT Monday 25th April. This contest is open to UK residents only. Maura mentioned on Twitter that she thought that this might be right up my street, and based on that 'pitch' by Andrew I would be inclined to agree completely - roll on September! Well done and thank you to all of you who entered. I will now endeavour to contact the winner through by email. Please reply within 48 hours or I will draw another name out of the hat. Many thanks to Templar for providing the prize. How would you describe your books Wintercraft and Blackwatch to a potential reader? Wintercraft and Blackwatch are supernatural fantasy stories about a girl who can see into the veil between life and death, and the sinister man who is hunting her for the knowledge she possesses. The characters blur the lines between ‘good’ and ‘evil’, right and wrong. Secrets are held back from those who need to know them and everything hinges upon a lost book that can reveal knowledge of death itself. What was the original inspiration behind the Wintercraft story? Many small things inspired the story as a whole. I didn’t realise how many pieces made up the puzzle until the first story was finished. I think the greatest inspiration came from my home town, Darlington in County Durham. A few years ago a large group of medieval skeletons were found underneath the town’s market square and reburied under a circular memorial a few metres away. The idea of people living on top of a graveyard really interested me, and the mysteries of death are a fascinating subject to write about. Do you know how many books there will be in this series? Have you planned out the full story already? At the moment, there will be three books in the series. I originally planned the story as a trilogy, but I have so much extra information about Albion’s history and the lives of the characters beyond the third book that I would love to write more. I have ideas for at least two more books in the series, so if readers enjoy the first three, there could be more to come in the future. How did you go about building the world of Albion? I named the main country Albion because it is an ancient name for Great Britain. I wanted to write about a country that could have gone down a technological route in its past, but veered away from it and became caught up in a war that has gradually worn its people down and reshaped society in a mostly negative way. I am a big fan of dystopian stories. Broken societies are very interesting to me, especially when they don’t realise that they are broken. I read a lot about the history of ancient Greece before writing Wintercraft, as well as the medieval history of Great Britain. Albion is my version of a country that has become fragmented and is dying on its feet, but its people are so used to the destructive way of life that they do nothing to fight against it. How did you carry out the research when writing Wintercraft and Blackwatch? Did you discover any really interesting facts during your research that you would like to share with us? I read a lot of history books and looked into different cultures’ theories of life after death. The existence of a soul appears in many belief systems and I spoke to a few people who have had first-hand ‘ghostly’ encounters with things that could not easily be explained. The most interesting fact I discovered while I was writing Blackwatch was that London once had a short railway that ferried bodies to a cemetery outside the city. It was called the Brookwood Cemetery Railway and it ran funeral trains until 16th April 1941, when its station was bombed in the Second World War. I didn’t know anything about it when I first created the Night Train, so I thought it was quite eerie! A lot of readers (myself included) love your character Silas Dane. How did you go about creating this brilliant character? I do love writing for Silas. Silas was not in the earliest drafts of Wintercraft, and until he entered the story it always felt as if something was missing. When he appeared on the rooftop of Morvane’s market place in chapter two, he was as much a mystery to me as to the reader. He keeps a lot to himself, but I knew he was not a typically villainous man. I wrote down a biography of his life leading up to the very beginning of the story and realised that he was a man of many layers. He is a product what his life has made him with a very different heart beating underneath. I know a lot more about Silas than has been revealed in the books so far. I like the bleakness of Marcus Sedgwick’s fictional worlds, the humour of Jonathan Stroud’s characters, and the strange unpredictability of Neil Gaiman’s stories. Your books are fantasy stories with elements of horror. Are you a fan of both of these genres? I do like fantasy stories, particularly ones that give a different twist our own familiar world. I like the idea of things going on quite separately from ordinary human life, which most people know nothing about. Secret societies, cursed objects, people with supernatural abilities... great fun! I wouldn’t say I was a horror fan at all. I don’t like goriness or gruesomeness in books or movies, but a little bit of it did sneak into my books because some of the characters demanded it! Silas in particular is not going to go around being nice to people. He has his own way of getting things done. I had my eye on a lot of different careers when I was younger: English teacher, museum curator, veterinary surgeon, swashbuckling archaeologist (I’d still love to do that, if I’m honest!) ... but being a writer was always top of the list. It felt like something that was so distant and unlikely that it was unachievable. It seemed that writing was only for the lucky few. I’d never met a writer face to face before. I was a teenager in the 90s, before the internet had really taken off, so it was a lot harder to get in touch with authors than it is now. I started writing seriously in my early twenties, armed with an electric typewriter and a determination to at least give it a go. You don’t get anywhere if you don’t give it a try. After a lot of work, things seem to be going quite well so far. I just set out to write something that I would like to read. I didn’t aim it at a particular age group. I took the story in directions that felt right for the characters at the time and I’ve heard from people belonging to lots of different age groups who have enjoyed it. I think some of the best books can be found in the Young Adult section. I can’t resist a good adventure. At primary school I read everything I could get my hands on. I was a big Roald Dahl fan and I loved classic stories like Alice In Wonderland, Wind In The Willows, 101 Dalmatians (and its sequel The Starlight Barking). As a teenager I discovered Shakespeare and was drawn in by the darkness of the characters in plays like Macbeth and Hamlet. They had tragedy, murder and swordfighting! From there I moved straight on to adult books, particularly thrillers and crime. The choice, variety and quality of books that can be found in the Young Adult section now is absolutely fantastic. Classics like the books I have mentioned are so good, they will be part of people’s lives for a very long time to come, but I think modern books will soon rise up to take their place at their side. I think I read somewhere that you listen to music whilst you write. Does Blackwatch have a soundtrack of songs that inspired you whilst writing it? I have a long playlist of movie soundtracks that I listen to when I’m writing. Albums from films like Pirates of the Caribbean, Stardust and The Golden Compass have some wonderful pieces of music on them. Other music I particularly liked when writing Blackwatch included albums by Within Temptation, Evanescence, and Nightwish. If my books were to have a soundtrack specifically written for them, Within Temptation would be the band for the job. If you were to host a dinner party for any three people (alive or from the past), who would those three people be? Hatshepsut: one of Ancient Egypt’s greatest female pharaohs. Neil Gaiman: so I can talk to him about stories, dogs and bees. And Michael Fassbender: because he is the closest person I have seen who matches my impression of Silas (I’ve had some readers say the same thing too). And if you were allowed to invite a few fictional characters as well? Indiana Jones, Josephine March from Little Women, and the eleventh Doctor from Doctor Who. Now that would be a dinner party. I know Wintercraft: Blackwatch has only just been published, but is there anything you can tell us about the third book in the series? The third book will reveal more about a particular character’s past, expose the true legacy of the Winters family, and test the main characters’ loyalty to one another even further than before. It is much darker and bloodier than the first two books and will unearth secrets within the graveyard city that will change the course of Albion’s history. Is there anything else you would like to say to readers of The Book Zone? The Book Zone is one of the book blogs I visit regularly and it has been a real pleasure to be invited here. Thanks so much for reading this post. I hope this website - and others like it - help you all to discover books you will remember for a lifetime. Massive thanks to Jenna for taking the time to write such great answers to my questions. If you want to find out about Ms Burtenshaw and her work then head on over to www.wintercraft.co.uk or Jenna's blog at jennaburtenshaw.blogspot.com. You can also follow her on Twitter at twitter.com/JennaBurtenshaw. Jenna's Blackwatch blog tour continues on Monday at www.iwanttoreadthat.com. What would you do if you found out that not only could you see ghosts, but a load of demons were about to cross over into our world, and you were the only person who could stop them? 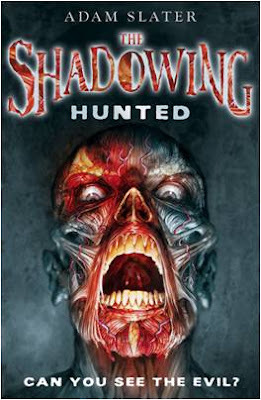 That’s exactly what teenager Callum Scott faces in my new horror series, The Shadowing. His only backup is ghost boy Jacob and his giant spectral dog, Doom. And those demons aren’t going down without a fight. Soon Callum’s being hunted, and by something you wouldn’t want to encounter in your worst nightmares… If you like skin-crawling horror fiction, you’ll love The Shadowing! There have been some great new horror series over the past year and this book is up there with the best of them. Horror loving boys and girls will be hooked from the very first paragraphs - as prologues go this one is a beauty as it gives the reader an idea of the extreme peril our hero might find himself in, even before we have met him. The final paragraph of the prologue is more than a little gory but even the squeamish should stick with it past this point as it is not a true reflection of the rest of the story's tone. The story's main protagonist is Callum Scott, a normal teenage boy except for one key factor - he can see ghosts. He has always possessed this ability, not that he would ever tell anyone else, but more recently their numbers have increased and he can hardly go anywhere without seeing them. The only place he feels he has real peace and quiet from these ghosts is in the small country cottage he shares with his grandmother, a rather eccentric lady who has a secret she wants to keep from Callum. Being able to see ghosts is not exactly pleasant, but Callum has come to terms with it over the years. However, all of a sudden he also starts having visions of events in the very near future, events that he can alter by taking action. Couple this new development with a number of pretty grisly murders that seem to be getting closer and closer to home and life is suddenly turned upside down for Callum. Last year I was raving about the first of David Gatward's The Dead books, and what a series that has turned out to be. On the strength of this first offering I think I will be singing the praises of this series in the future as well. Hunted is fast-paced and exciting, but not so frantic that it goes from action scene to action scene. Adam Slater knows when to draw his audience in with small morsels of information that build the background to his characters, and then BLAM, he hits you in the face with a tense chase scene or he cuts to a grisly scene featuring his monster as it gradually gravitates towards Callum's area, leaving a bloody trail in its path. 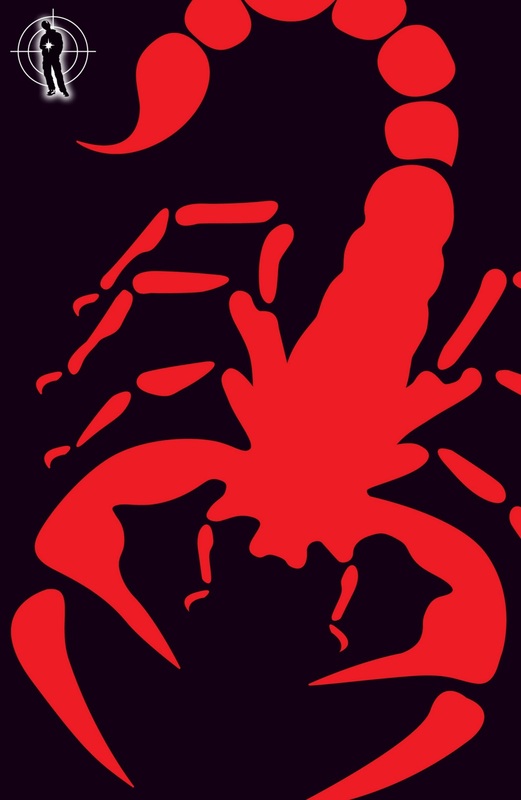 At the end of my proof copy that Egmont sent me there is a chilling teaser chapter for the next book in the series, gruesomely titled Skinned, which according to Amazon is due to be published at the beginning of August this year. It is certainly a series I intend to follow based upon this book, which was published at the beginning of April and should be in most book shops by now. I must reiterate that if you like horror but are a little squeamish when it comes to gore I think you will still love this book as much as I did, as gore is not the main element of horror on show here; that honour goes to something far more creepy. Author Neil Gaiman is a total legend! He wrote Neverwhere, one of my all-time favourite fantasy stories and a book that created my love of urban fantasy set in London. He also the genius behind The Sandman from DC Comics, another of my long time favourites. Last year, with the assistance of Al Sarrantonio, Mr Gaiman edited an anthology of short stories, simply titled Stories. This fantastic volume contained stories by the likes of both editors, Joe Hill, Diana Wynne Jones, Jeffrey Deaver, and many others. Later this week this anthology is released in paperback form, and to commemorate this Sam Eades at Headline had a cracking idea - invite a (insert collective noun of your choice) of bloggers to each contribute 100 words to a short story. In his introduction to the anthology Neil Gaiman explains that he was asked by one of his blog readers if he could recommend a quote that could be inscribed on the wall of the children's area in a public library. After much thought, he replied that instead of a quote he would choose to display the following: "... and then what happened? ", explaining that these are "The four words that children ask, when you pause, telling them a story. The four words you hear at the end of a chapter. The four words, spoken or unspoken, that show you, as a storyteller, that people care." Sam's challenge to her team of bloggers was to use this quote as their inspiration, with one blogger starting off the story, and then each one following on with their own 100 words. So far so good, but as in all good stories there is a twist: each blogger would only receive the preceding 100 words and therefore none of us would have any idea what the final story would be until it was completed. Michelle tried to swing her legs off the bed but they wouldn’t move. It was then that she realised. She was tied to the bed. No, she was shackled to the bed. She tried to sit up but her wrists were shackled too. Wait. She could lift her head! Her eyes flitted around the room. She didn’t recognise anything. Where the f**k was she? ‘You’ll f**king what?’ Daniel teased as the dead-zone between them diminished. Massive thanks to Sam Eades at Headline for giving me the opportunity to take part in this (although I was secretly cursing her when it came to my turn to write as I had a total mental blank). My review of Stories will appear on The Book Zone fairly soon. It is aimed at adults but older teens will find it a hugely enjoyable read. A couple of days ago I posted a guest post written by Johnny O'Brien, author of the Jack Christie books. Now, thanks to the generosity of the Templar Publishing I have a set of signed copies of the first two books in the series to give away to a reader of The Book Zone. In order to be in with a chance of winning these books all you have to do is answer the question and fill in your details on the form below. The first name drawn at random after the closing date will win a copy of the book. Deadline for entries is 8pm Saturday 16th April. This contest is open to UK residents only. Templar Publishing or I will not be held responsible for items lost in the mail. I think I'm a little behind with this one but the past fortnight has been very busy with the end of term and my birthday celebrations, hence the lower than average number of posts on here recently. However, this news appeared in the Guardian online a couple of weeks ago and so I thought I would pop it on here in case any of you are as far behind with the news as I am. 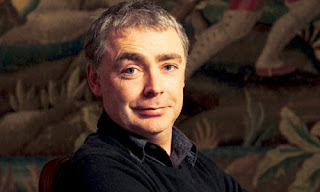 In this article Eoin Colfer confirms something most of his fans already know - the next Artemis Fowl book, the eighth in the series, will be the final outing for his young anti-hero. I have been a fan of the Artemis Fowl books ever since I read the first one back in 2001, but if you have read my review of the most recent, The Atlantis Complex, you will already know that I found it a little disappointing, and I feel it is definitely time to bring the series to an end. Hopefully the as yet untitled Book 8 will do this in style. "Puffin Books today announced plans to publish a major new series by Eoin Colfer, the bestselling author of Artemis Fowl. WARP, an acronym for Witness Anonymous Relocation Program, used by the FBI to hide important witnesses in the past, is a high concept series described by the author as 'Oliver Twist meets The Matrix'. The first book features a Victorian boy, Riley, who goes on the run in 21st century London pursued by a ruthless assassin from his own time. Riley must rely on his wits and the help of a young FBI agent if he is to survive." What a great idea - using the past to hide key witnesses. It's just a shame that Summer 2012 is so far away! I had hoped to be able to meet you in person and have time for a proper talk. However, I fear that VIGIL may soon learn of my location and therefore I have had to leave in haste. This is a sad time for me. You already know about my exile from my former colleagues in VIGIL. It grieves me that, because of this, I have not been able to see you or your mother over the past nine years. But now, I also find myself in disagreement with my friend Pendelshape and the Revisionist team. We were once so unanimous in our opposition to VIGIL. But now. . . Some months ago we started work on a new timeline simulation – one that aims to bring about great good for humanity. However, I could not accept further development of this simulation before I knew that you could be safely isolated from VIGIL and brought over to our side. Pendelshape and my Revisionist colleagues have become frustrated by my attitude, to say the least. We have argued and now, fearing their retribution, I have left them. Furthermore, with your safety in mind, I have, as of today, taken the unprecedented step of warning VIGIL of what I know of Pendelshape’s plans. I now find myself alone in the world – a fugitive. I never wanted to put you in this position or to expose you to all you have experienced. However, I live in hope that we can one day meet and that you will join me in my mission. This letter – it’s from Dad. I can’t believe it. And then it all comes together. He was the guy we nearly knocked over in the woods on the bike, and he’s been holed up here – a fugitive from VIGIL and now from this own guys – the Revisionists. Now he’s running away. I’m confused and I’m scared. And judging from the letter, I’m not the only one who’s scared. He’s talking about a new timeline simulation. That might be gobbledygook to you – but I know what that means – after all I was the one that got transported back in time to 1914 to the assassination in Sarajevo and nearly got killed in the process. Basically, it sounds like the Revisionists are planning to try and make another change to history. I’m with VIGIL on this one – it’s incredibly dangerous – and if that is their plan they will need to be stopped. I’m standing there, trying to work out what it all means, what to do, I’m thinking about Dad and if I’ll ever see him again... and then it all kicks off. The whole tower starts shaking and there’s a helicopter landing outside (yes – a helicopter) and a bunch of Landrovers and some guys with dogs. It’s VIGIL. They’ve been tracking my movements (of course – how could I forget) and they’ve already worked out that something’s up. I look at Angus and he knows what I know. How would you describe the Jack Christie books to potential readers? 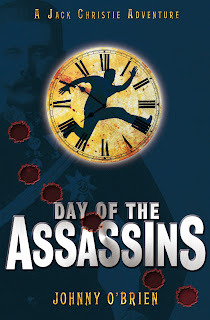 The Jack Christie books are action stories which have a time travel theme involving our modern heroes (Jack and Angus) in real historical events (like the assassination in Sarajevo in 1914, the defeat of France in 1940, Elizabethan England and the Armada in 1588). Day of the Assassins is the first in the series and is based just before the First World War. I got the idea when clearing out a cupboard at my Dad’s home in Scotland. It contained all this memorabilia from the First World War - when my Grandfather fought in the Irish Guards. There was all sorts of stuff including uniforms, medals and even a citation from Winston Churchill. My Grandfather was injured in the war and this triggered the idea for the book. Basically, it got me thinking about the choices people make and the consequences that follow – even from quite trivial decisions. This made me think about the causes of the First World War – and the trigger point of the assassination of Archduke Franz Ferdinand in Sarajevo in 1914. I wondered what I would have done if I had been there – would I have stopped it and thereby perhaps prevented the war. It was a small jump from that to Jack and Angus – ordinary kids who go back in time and face exactly that choice. 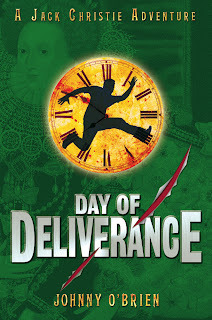 The second book in the series is called ‘Day of Deliverance’. I wanted to do something Elizabethan – because it is such a fantastic period of history. Not only have you got the great political and religious turmoil of the age but you have this incredible artistic renaissance – Shakespeare, Marlowe and much more besides. It was then a case of looking for a possible historical turning point during the period around which to build the plot and so I came to focus on the Armada – which of course is one of the great stories in European history. What about mixing real history and made up history? - Would a fourteen year old boy fit inside the muzzle of a main battle gun on HMS Dreadnought? (Answer – yes, if he is particularly weedy). -In Napoleon’s march to Moscow in 1812, how many of the 422,000 troops that set out made it back? (Answer: 10,000). - What did Gavrilo Princip have in his hand and drop before he shot the Archduke Franz Ferdinand? (Answer: a sandwich. Sensible – never try and kill someone with a sandwich, it takes a long time and usually doesn’t work). - What kind of beer would you drink in a London pub in 1588? (Many varieties – Mad Dog and Stride Wide are Jack and Angus’s favourites). Day of the Assassins and Day of Deliverance will be followed by Day of Vengeance which is all about the Battle of Britain, defeat of France in 1940, the visit of Hitler to Paris in 1940 (check out Youtube for actual footage of this sinister historical event) and the German Vengeance programme. ‘Vengeance’ comes out in September and hot off the press and you heard it here first on The Book Zone (For Boys) – the fourth in the series is about China and the Taiping rebellion... twenty million people died in this event – more than in World War One – but you’ve never even heard of it, have you? My huge thanks go to Johnny for taking the time to write this for The Book Zone. 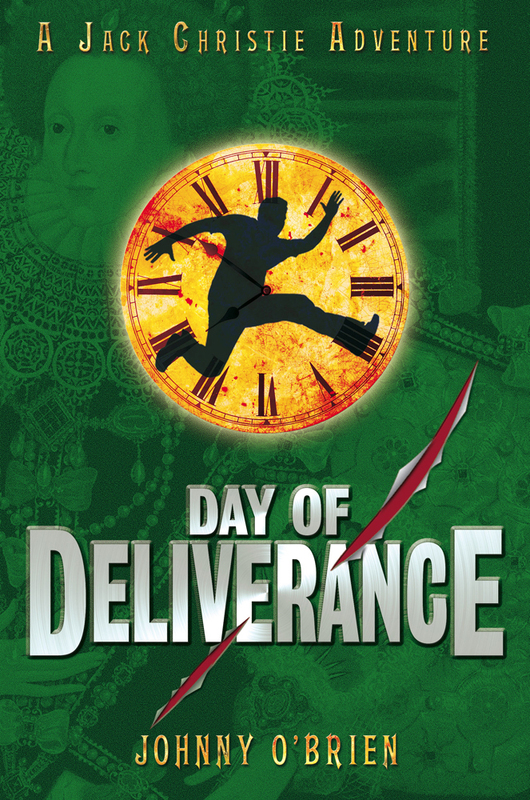 Please come back later in the week when I will be running a competition where you could win signed copies of the two Jack Christie books, and I will also be posting a link to an extract of Day of Deliverance.